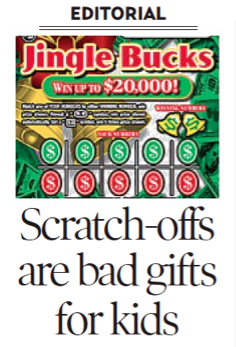 Last weekend, Schenectady’s Daily Gazette had a timely and important editorial aimed at folks looking for an easy gift to give to minors: “Scratch-offs are bad gifts for kids: Introducing them to children could lead to gambling addiction later in life” (December, 9, 2017, C5). The editorial has a litany of reasons for its message. The first message it sends to kids is that gambling is a game. For responsible adults who drop into the casino for a few hands of blackjack or a few spins on a slot machine, it can be just that. But kids’ brains don’t work that way. Physiologically, the part of the brain that allows adults to make responsible judgments isn’t fully developed in children and adolescents. . . The risks they take with gambling at a young age could hurt them in the long run. Tons of studies back that up.
. . . the earlier children begin gambling, the more likely they are to develop gambling problems as adults. 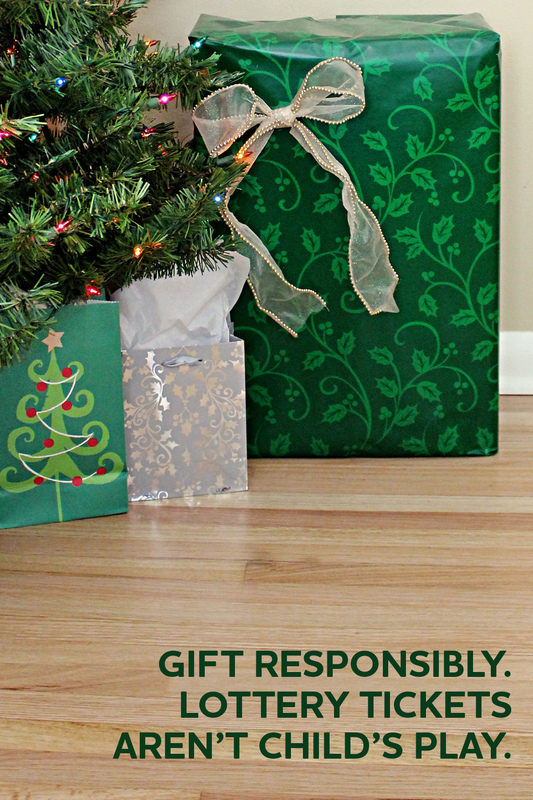 If you don’t have Gazette online access, you can learn more on this topic, or get more ammunition for convincing well-meaning gift-givers, at the Holiday in Action webpage of the National Council on Problem Gambling. And, Click here for the World Lottery Association campaign brochure. 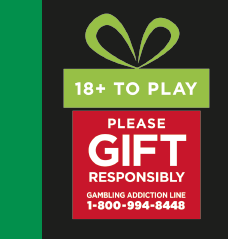 This is the 4th consecutive year that New York’s Responsible Play Partnership (RPP), comprised of the New York State Gaming Commission, New York State Office of Alcoholism and Substances Abuse Services and the New York Council on Problem Gambling, has joined this campaign. Thanks to all the organizations, local, State, national, and international, who are working to prevent problem gambling among the young. Of course, we also need far more efforts targeting all the vulnerable groups in our society, and City, bombarded by pro-gambling ads and propaganda that attempt to make gambling/gaming seem normal, innocuous, glamorous, and even civic-minded. will Problem Gambling Awareness Month inspire action? What are our public health officials and other local political and community leaders doing to combat problem gambling? 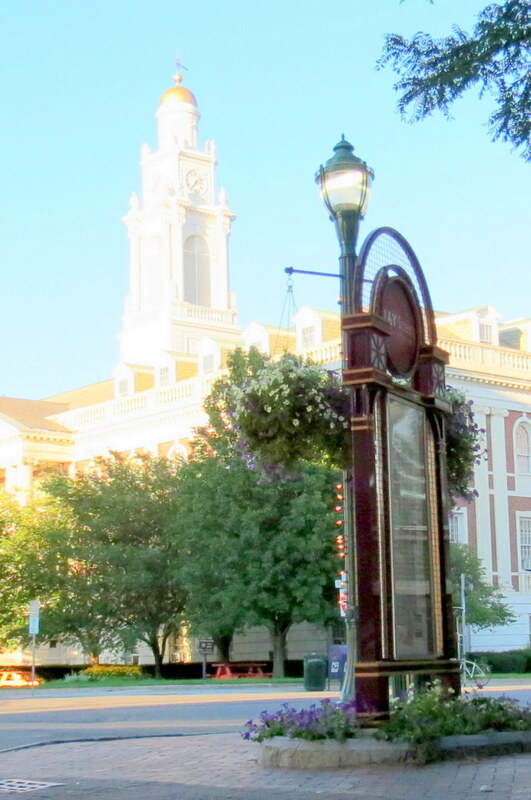 We believe that only organized programs specifically focused on problem gambling prevention, education, and treatment, with ongoing outreach activities, can hope to address the effects that a casino in Schenectady is likely to have on our community. With Rivers Casino at Mohawk Harbor now scheduled to open in a year, such programs are needed ASAP and must especially target vulnerable groups, such as aging adults, low-income residents, and youth. Therefore, we congratulate the Schenectady Gazette editorial staff for raising the issue of problem gambling in today’s newspaper, in an editorial promoting the State’s proposals to improve the gambler self-exclusion program (“Help Problem Gamblers Help Themselves“, March 2, 2016). Nevertheless, we hope the Gazette will call for far more comprehensive programs locally and statewide against problem gambling. We believe that self-exclusion from casinos by individuals who recognize they have a gambling problem and want to do something about it is, at best, a very limited approach to the plague of Problem Gambling. In a way, it is a mere fig-leaf covering a multitude of ways that casinos encourage irresponsible gambling. The 2,800 people who are currently on New York’s self-exclusion list are, for example, a tiny portion of the 15 to 20 percent of those who frequently gamble at casinos and are believed to be problem gamblers. “It is somewhere between infrequent and unlikely that you will be detected,” said Keith Whyte, executive director of the National Council on Problem Gambling. Casinos “rely on security guards at the entrance with an antique face book – a binder with photos” of customers on self-exclusion lists. Problem gamblers account for 40 to 60 percent of slot machine revenues, according to studies conducted over the past decade or so. This evidence contradicts claims by gambling lobbyists that their industry wants to attract only those customers who play casually “for fun.” Indeed, if casinos had to rely on such casual customers, they would not long survive. A Canadian study found that casual players comprised 75 percent of players but contributed only 4 percent of net gambling revenue. The casinos’ real money comes from problem gamblers. Things were different in the tiny town of Tyre and Seneca County to our west, when they confronted the potential coming of the Lago Casino to Tyre, NY. They sat down with applicant-developer Wilmot, commissioned studies, and accomplished a multi-faceted Host Community Agreement that squarely faced a multitude of issues, including the specter of problem gambling. To fulfill an agreement with Seneca County Mental Health Department that was incorporated into the Tyre Host Community Agreement [June 2014], Lago Casino will pay for hiring two additional problem gambling specialists (one for treatment and one for prevention). More important, Seneca County and casino developer Wilmot set out the structure for a Problem Gambling Prevention, Outreach and Education Program that will seriously address the issues relating to problem gambling. In partnership with Seneca County Mental Health, Wilmot Casino will fund materials to be used for prevention, outreach and education to vulnerable populations in the Seneca County area. [SCMH] will begin their outreach and education efforts once Wilmot Casino is granted the casino license, prior to the opening of the casino. Initiatives to address problem gambling will focus on impacts in the workplace, family, neighborhood, youth, older adults, public safety and crime prevention awareness. Problem gambling public awareness efforts will target messaging at specifically vulnerable populations including youth, parents as influencers on youth, family member of problem gamblers, indviduals and families with substance abuse disorders, college students, low income residents and aging adults. Age appropriate programming and education on problem gambling will target youth beginning no later than age 12. Problem gambling education will be infused into all Seneca County Mental Health programs including but not limited to summer camps, Family Education Programs, Crime Victims Assistance Program, Domestic Violence Services and Domestic Abuse Awareness Classes. Outreach and education specifically targeted at the Aging Adult population will take place at senior centers, retirement community events, etc. Seneca County and Town of Tyre officials clearly understand that “partnering” with a casino developer means far more than helping it win its gaming license by avoiding all talk of negative impacts and added expenses; and the Wilmot Company expects to do much more than make demands and seek concessions in upholding its part of the partnership. It may be too late for Schenectady to use any leverage to achieve a impact mitigation agreement with Rush Street and Galesi, but it certainly is not too late for City and County leaders to establish and implement an outreach, education, prevention, and treatment program to combat problem gambling. Our not-for-profit sector (especially the Counseling and Helping Professions), faith communities, local media, academic leaders (at the collegiate level, and in our public, charter and parochial schools) need to speak out immediately, strongly and consistently to ensure that the County and City have necessary programs in place before Rivers Casino at Mohawk Harbor begins operations. And, see the Problem Gambling and Young Gamblers sections of our Casino Issues Page, including the posting “what will the casino mean for Union College students?“. Note: The editor of this website has started a modest Problem Gambling Postcard Project to help deal with related problems and educational needs. The postcards are available at The Open Door Book Store on Jay Street in downtown Schenectady. See the Postcards Page at “suns along the Mohawk” for a description of the project, which will donate all of the photographer’s proceeds with the intention of helping to deter and treat problem gambling. 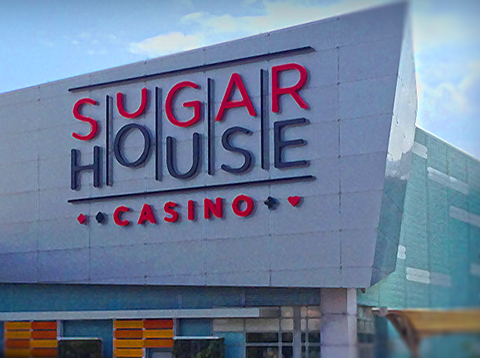 update (Oct. 21, 2018): Nine months into its second year of operation, the need for Problem Gambling education and prevention is greater than ever along the Mohawk, as a “slotsification” process has taken hold. Slots playing, the most addictive form of casino gambling, is becoming a greater and greater portion of revenues at Rivers Casino, with all of the approx. 11% revenue increase since the first anniversary of its opening coming from Slots/ETG (table game and poker table revenue is down).